YUM!!! The Pumking is by far my favorite of the pumpkin ales. It’s like drinking an alcohol spiked pumpkin pie. 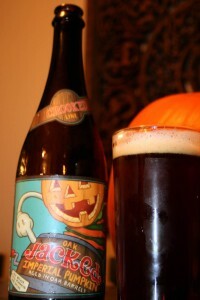 This malty, copper colored brew’s prominent flavors include brown sugar, vanilla, whipped cream, and pumpkin pie spices. This was another good one. 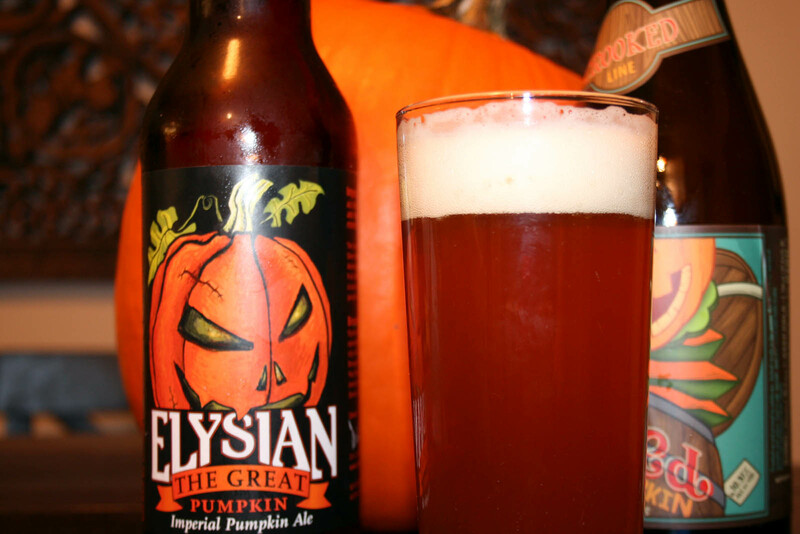 Great Pumpkin definitely has pumpkin, cinnamon, sugar, allspice, and nutmeg on the nose, which is balanced by a certain breadiness that reminds me of pie crust. The pumpkin pie spices are a little more subtle than the Pumking. The hops do provide a slightly drier finish to this beer. Dessert in a glass. I could probably drink two of these, but then I’d have to call it quits. 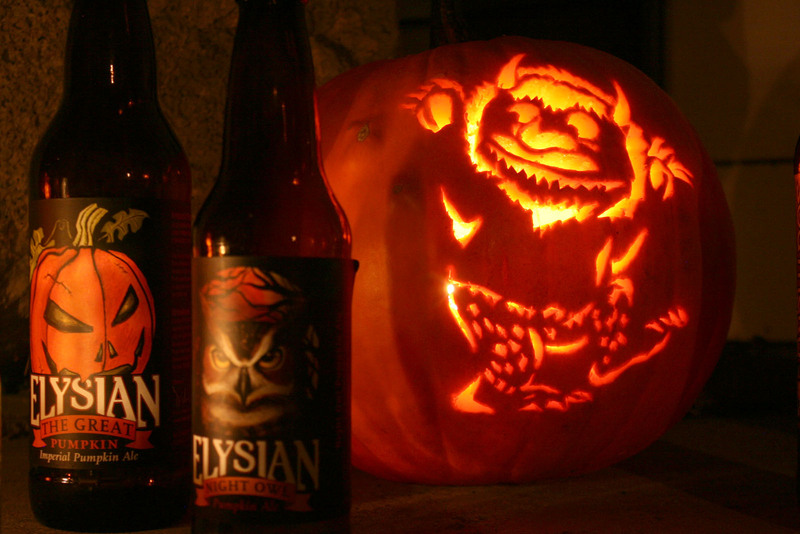 Night Owl is sweeter and spicier than the Great Pumpkin and has stronger notes of ginger, cinnamon and clove. On first taste I said “WOW, this is BOOZY!” and every sip after you can still taste the booze. At 10.31% ABV this beer packs an alcoholic punch. The booziness overpowers this beer’s subtle flavors of pumpkin, vanilla and spice. 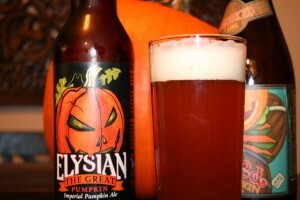 I would compare this beer to pumpkin bread instead of pumpkin pie, as it is not cloyingly sweet like some of the others. 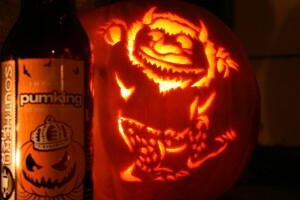 This was probably my least favorite of the pumpkin ales. It smelled and tasted like fresh cut pumpkin and had a raw, earthy, vegetable flavor to it. While the beer did have hints of honey (yum) I would have liked more spiciness in the form of cinnamon, clove, allspice, ginger etc. 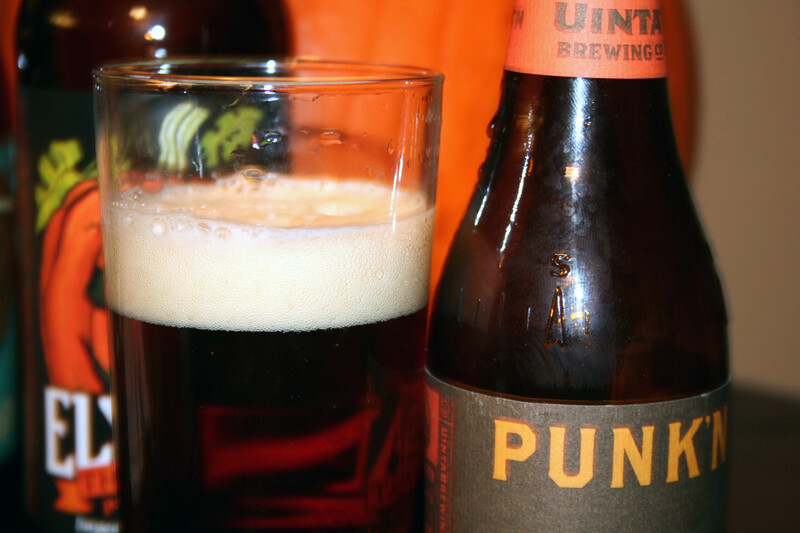 ; Punk’n might pair nicely with foods that have that flavor profile. Feeling saucy Steve and I managed to get two pumpkins carved without losing any fingers…yay!! !